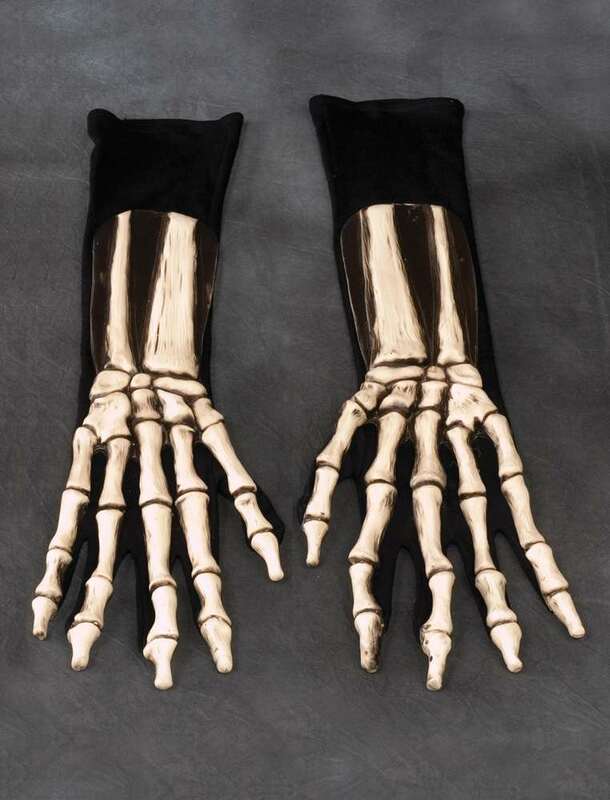 These deluxe skeleton gloves are very comfortable to wear. They are black fabric with latex bones mounted to the backs of the hands. So your palms stay cool and it's easier to use your hands since the underside is just fabric. A great way to complete a skeleton costume! The fingers on the gloves are about an inch too short. This means the fingers stop at the second knuckle. What's weird is that the width of the palm portion of the glove fits great. It's the fingers that are too small. It's like they sewed fingers from a child's glove to the hand of an adult glove. If these had fit better, I'd had given them 5 stars. They look cool, but fit badly.